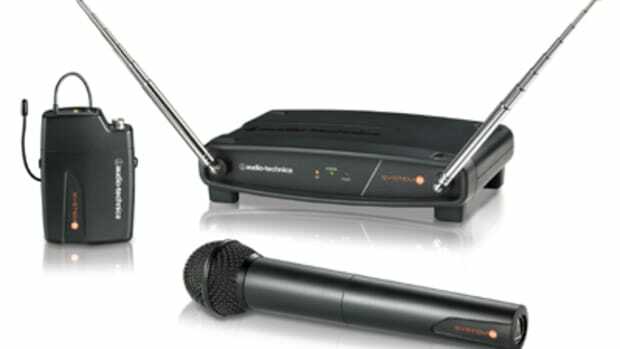 From this point on until the rest of 2010, the World Renown wireless microphone company, Audio Technica is offering some nice rebates on its popular wireless microphone systems. The better the system you purchase, the more of a rebate is offered. This is the perfect opportunity for you DJ's out there that really need a good wireless microphone system, but have been putting it off until the right deal comes along. (rebate code and details inside). Audio Technica have been providing performers with high quality microphones for quite some time and now they are giving out some nice rebates on their new popular wireless microphone systems. From now until December 31st, anyone who purchases a 2000, 3000, or 4000 series wireless Audio Technica Microphone will receive a mail-in rebate ranging between $20-$40 depending on the series of purchase. The price of the Audio Technica wireless microphones is already very competitive, so any rebate would send them over the top. Check inside for details and purchase links. Audio-Technica has been supplying the Grammy Awards ceremony with excellent microphones for performances for the last fifteen years! If the performing professionals can put their trust in AT microphone quality, then so can DJ's! Audio-Technica has sent us a new 2000-Series Handheld Wireless UHF Microphone System along with a battery recharge station in order to put it through the tests and let other DJ's know how this setup works in real-world situations. I will have the Full HD-Video review complete right after we use the microphone system on the road at my June 9th gig. For now you can peep the quick teaser/unboxing video inside. I've got a few more tid-bits from NAMM 2011 that I thought were worth a mention, even if they aren't made exclusively for DJ's. Audio Technica has been in the wireless microphone business for quite some time offering high quality audio gear since day one. 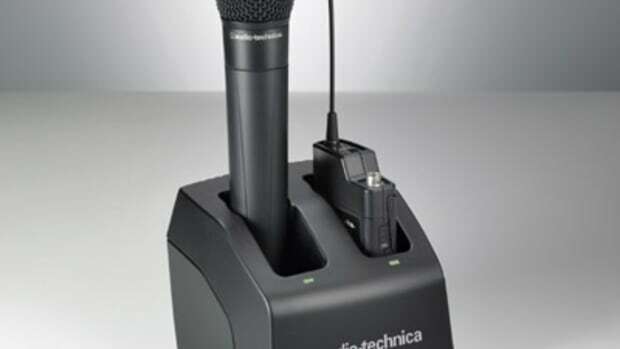 The new Audio Technica 2000 Series Wireless Microphones now have a new charging system that makes it easy for users to just drop in the wireless microphone and/or transmitter for charging and leave it be until the batteries are ready to go again. Introducing the Audio Technica the ATW-CHG2 Two-Bay Recharging Station. This system is perfect for the Karaoke and Mobile DJ's out there who need a good chargeable microphone system to take on the road with them when reliability counts. Details and Press Release Inside. Little did I know... Audio Technica has been the premier microphone company for the Grammy's Award show for 15 years straight. That's definitely saying a lot when the number one Music Awards show puts all of its trust in it's world-renown live performances with the Audio Technica Microphone suite. So in short, if it's good enough for the Grammy's, it's definitely good enough for everybody else. Audio Technica supplied over 250 microphones including the ARtist Elite 5000 UHF Wireless System. Check out the details and press release inside. Audio Technica has been a market leader in Professional audio equipment for decades now. They are even the premier Microphone supply company for the Grammy Awards show for the past fifteen years strong. They have now announced their latest and greatest System 8 VHF Wireless Microphone setups that are due out this month. The System 8 VHF systems will come in many different configurations and promise to deliver crisp and accurate sound at nice affordable prices. These are good wireless microphones for DJ's and performers alike starting at only $150. Check out the press release and links inside. Audio-Technica has been leading the industry with it's wireless and wired microphone systems that exude excellent sound quality and longevity to match. 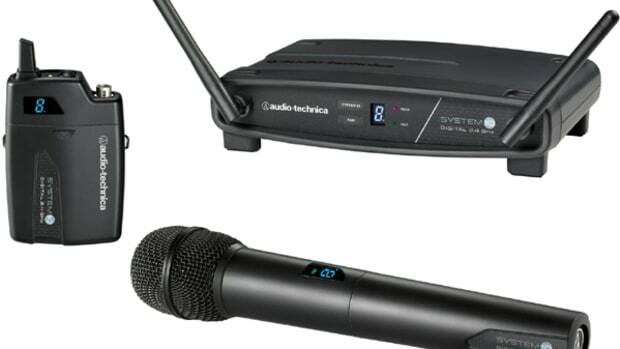 We recently reviewed one of their wireless microphone systems, but now Audio-Technica has introduced the new System 10 receivers and transmitters that operate in the clear 2.4gHz range. These sets work well for any Mobile DJ setup. Check out the press release and pricing inside. For all the producers and music-makers out there, Audio Technica is providing nice cash-back rebates on its popular 20-series Microphones. These are the high quality condenser Microphones that are used in studios and performances, so for those of you who were waiting for a good deal to come around before getting your hands on a good Microphone, wait no more. From now until August 31st you will be able to get a Rebate for any Audio Technica 20-series Microphone ranging from $10 to $50 cash-back. More details and rebate link inside. Offer only valid in the good-ole U-S-of-A. 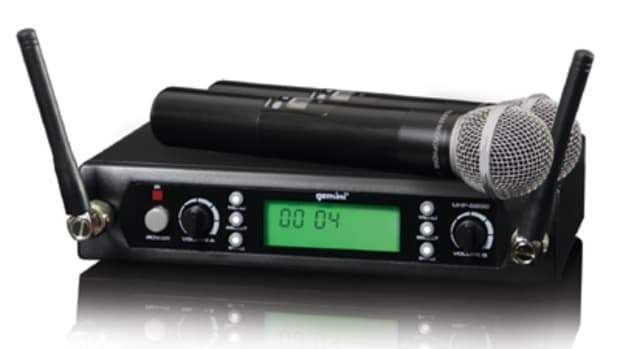 Gemini DJ Division has just introduced the new UHF-5000 series of wireless microphone systems which is their new flagship collection at very affordable prices. These microphones are available in handheld and hands-free configurations to suite all DJ and performance needs. The UHF-5000 series has high quality UHF receivers with a range of 250 feet!. They are offered in Single and Dual configurations so you have a choice of one microphone or two microphones in a closed system. With prices starting at only $250, these wireless microphones are sure to make a nice-affordable solution to all types of users. This may very well be our first Wireless Microphone review on DJbooth.net so stay tuned for more information. Check inside for the full press release, pics, and price list.